If you haven't already created a new Facebook App please do that first. If you're using the Facebook App that was automatically created when you enabled Instant Articles for your page, please check the App and ensure steps 7 & 8 have been completed. 1. 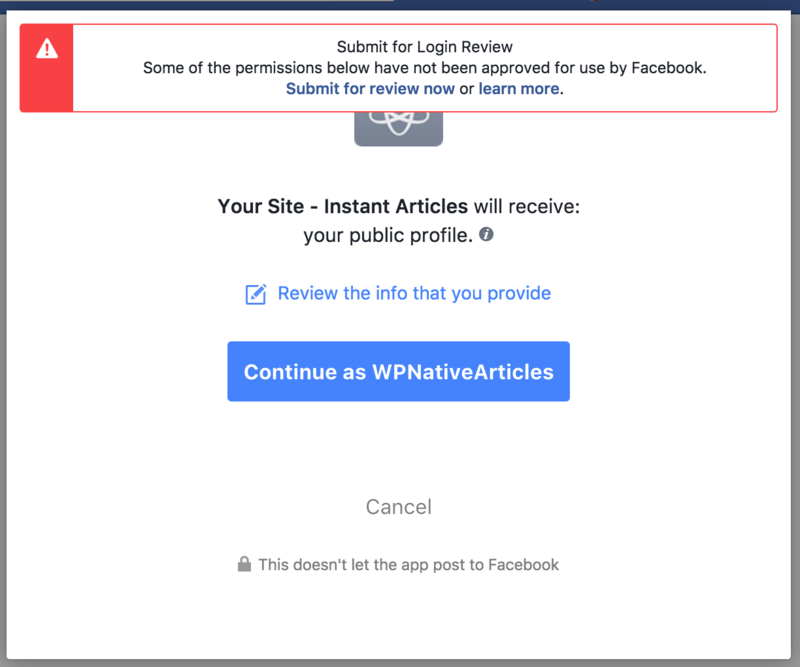 Go to https://developers.facebook.com/apps and into your new Facebook App. Copy the App ID and and the App Secret. 2. Go to your WordPress site and login to the admin. In the left hand menu select Native Articles then Facebook Instant Articles. 3. Select the API tab then paste in your App ID and App Secret into the respective fields. Scroll to the bottom and press Save Changes. 4. Click the blue Login button next to the Facebook User field. 5. You should then be re-driected to Facebook where it will ask you if you wish to confirm. Click the Continue as YourUsername button. 6. Click OK (you can read more about the permissions requested here). 7. You should now have been re-directed back to your WordPress site fully authorised. There should be a dropdown menu next to the Page ID field name containing all the pages the user you authenticate with is allowed to manage. Select the one you wish to sync your Instant Articles to with this account and click Save Changes at the bottom. 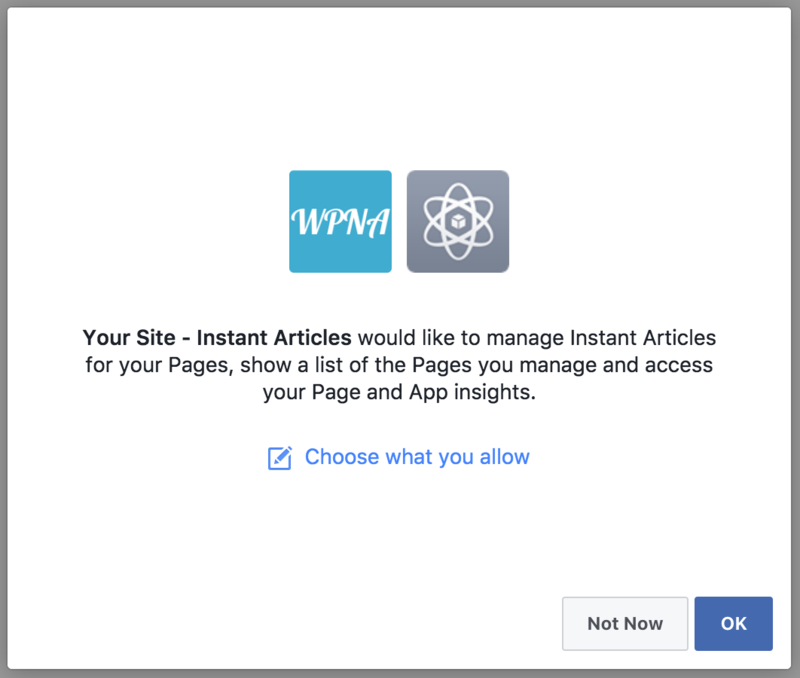 Your site is now connected and you should be to publish your Instant Articles.